Twenty-one days on the island. Eleven survivors left. And Mike Zahalsky ’95 MMS’98 MD’99 is still standing. The blue team won the challenge and was whisked off to another island of Fiji for their reward. Hidden beneath the mound of pasta was a clue indicating that an immunity idol was under the team flag at camp. Once back at their island, Ryan made the first stealthy attempt to dig it up and found it, giving him an advantage he can play at a later time. At the immunity challenge, Survivors had to balance a statue using a long pole while standing on a narrow beam. In a test of balance, strength, and mettle, Cole emerged as the winner and was safe from elimination. 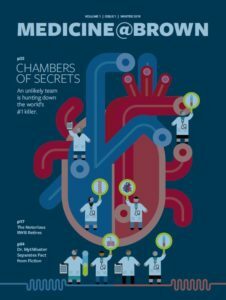 The lines have been clearly drawn: the remaining Heroes and Hustlers have teamed up to take down the Healers. Tribal Council resulted in a tie, with four votes each for two of the original Healers: Joe and Desi. That necessitated a do-over, in which the other nine contestants had to choose between them. Physical therapist Desi lost the vote, but she became the first member of the all-important jury, which in the final episode will determine the Sole Survivor. 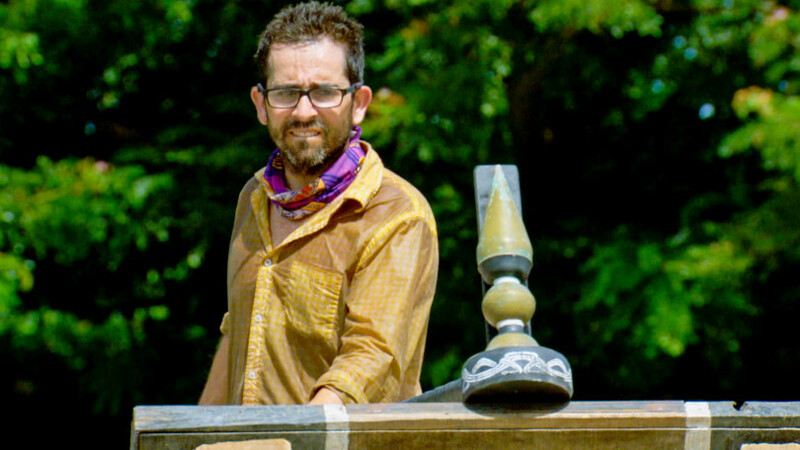 That alliance naturally has us worried for Zahalsky, but we can’t forget he still possesses the immunity idol he found in episode 5. Question is, will he play it at the right time? We’ll see next week at 8 p.m. EST on CBS.